ABC screens a controversial documentary on the Sydney Opera House commissioned by the BBC in 1968 which the ABC once tried to have banned. Now after 45 years of being “lost” this film has been found by an ABC archivist and remastered for its first ever Australian television screening this Sunday night. Autopsy On a Dream, a controversial and provocative BBC film about the building of the Sydney Opera House, directed by John Weiley in 1968 and thought to be lost for 45 years, will have its first Australian television screening on Sunday October 20 at 9.25pm ABC1. Weiley was commissioned to direct and produce the film by the then BBC Two Controller David Attenborough. A dramatic story of the building’s construction and architect Jorn Utzon’s ultimate departure from the project, the film caused controversy from the outset. The ABC tried to stop it being made and after its BBC screening in 1968, Weiley was advised the film had been destroyed on a chopping block in the BBC archive. Miraculously for John, a mute print of the film was rediscovered in a BBC vault this year by an ABC researcher on the Sydney Opera House Project http://theoperahouseproject.com. As it turned out only the soundtrack was destroyed. Having kept the transcripts and sound, Weiley and his team have put the original film back together. Weiley has also created a new prologue called ‘The Dream of Perfection’ telling the fascinating story of the lost film and bringing the story up-to- date, featuring interviews with Sir David Attenborough, Jan and Lin Utzon, the sons of Jorn Utzon and architect Richard le Plaistrier, plus many others. “I was in shock. It was like getting a call from a child who I thought had been lost many years before”, says John Weiley. Autopsy On A Dream , with Bob Ellis recreating his original narration, will have its first Australian premiere at the Sydney Opera House in October to celebrate their 20th anniversary and will then screen for the first time on Australian television on Sunday October 20 at 9.25 pm, ABC1. Mark Scott, Managing Director of ABC, says the ABC’s history is inextricably linked with that of The Sydney Opera House – the nation’s most remarkable and culturally significant building. 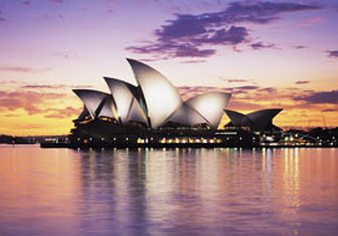 “We have been delighted to showcase the Opera House through the creation the dazzling Opera House Project website. http://theoperahouseproject.com. Now we are thrilled to be partners in the restoration and presentation of the landmark film ‘Autopsy On A Dream,” he says. Autopsy On A Dream (90 min) is directed by John Weiley and the remastered film is produced by John Maynard for Felix Media with the support of the BBC, Screen Australian and ABC Arts. The finding of this film by someone with the ABC as well as the recent Doctor Who finds has got me thinking. I’m very happy about them. But I’m disturbed to learn that the ABC as well as possibly other TV Stations may not have learn’t the lesson of these things. My crazy idea would be that maybe the ABC and the BBC reach some sort of agreement to store each others material for emergency purposes. So if some sort of disaster hits Britain or Australia then there’s some sort of back-up on the other side of the world. If they can’t do everything why not start with what they have currently? So instead of destroying material they save it just in case it is needed. I know it’ll never happen in a million years. But it isn’t as though both organisations haven’t had long and trustworthy dealings with each other. I largely agree with you about the irony of it as well as the other stuff you mentioned. The irony of this documentary itself along with its title “Autopsy On A Dream ” that was commissioned amid the controversy of such a futuristic and radical design, and the politics surrounding it, that was eventually mostly funded by the specially dedicated ‘Opera House Lottery’. As I watched the excellent fireworks and the use of the Harbour Bridge Pylons and the Sails of this Opera House depicting the Australian Naval History and those who have served in the RAN, I thought and wondered ( now ironically after this announcement), if among all those associated with the opera house from conception to completion, envisaged (Dreamed) that one day the Sails would become such a canvas for such displays. But is it even more ironic that nearly 50 years on, that the same thing could be happening again, with the NBN and Climate Change, ” Autopsy on a Dream or Nightmare” perhaps? A failed dream. Utzon never had a proper plan of how to build top quality theatres inside his shell, it was not what interested him. The compromise they came up with, of swapping the Opera and concert halls, never worked. The Opera theatre is too small and the accoustics in the Concert Hall are poor. It a great piece of sculpture and a tourist attraction but a lousy performance venue. The best solution to just build new theatre and concert hall elsewhere. It looks terrific with stuff projected on it during fireworks displays, but that’s about all it is good for.